Our flagship racer Riptide GP™2 will be coming later this spring to Xbox One and Playstation 4. Like the Steam version, this enhanced version of RGP2 features improved graphics, online multiplayer, split screen multiplayer, ghost racing (VR Challenge), and of course all the excitement you know and love in Riptide GP2. We'll also have full support for Xbox Live and PSN features like leaderboards and achievements/trophies. Oh, and did we mention it runs at a silky smooth 60fps at 1080p on both consoles? The Xbox One version was revealed at GDC this week. In particular, players and press reacted positively to one amazing feature -- split screen multiplayer with six -- count'em, six! -- simultaneous racers. 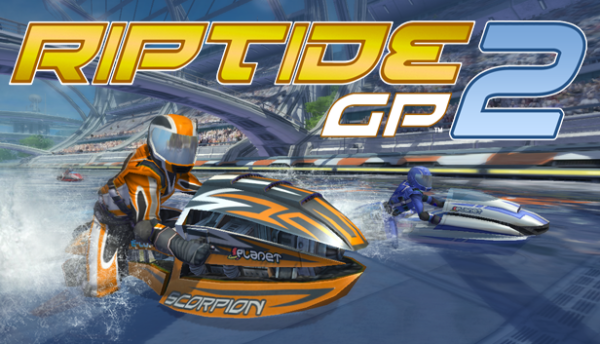 Riptide GP2 is actually the first 3d racing game EVER to support 6 player split screen. You have to see it to believe it.